Visit us in person and tour our grounds in Carroll County, Maryland. We have a large selection of products on display so you can see them in person or give us a call and we will step you through the order process over the phone. Catalogs are available too. 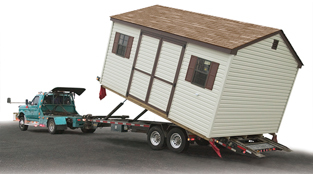 If we can't get into your location with our truck and trailer, we have the answer! 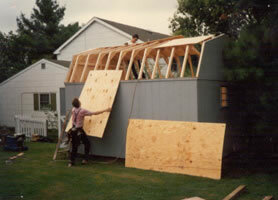 We can build the shed on-site!!! We suggest a crush 'n' run gravel foundation. This makes a very good foundation, nice and level and 2 feet wider and longer than the building that you are ordering. Pre-made buildings and gazebos require a 12' wide access for our delivery truck to back into. 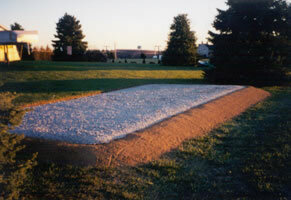 If you do not have a 12' wide access to the area, we can assemble your building on your site. You can make custom changes to any of our products. For example, if you are ordering a shed and see the style you want, but you would like to add a window or move the door, we can do that for you. We can also mix and match features from different products. You can substitute any door or window for another one shown on a different shed, or even add new features like window boxes, dormers, and Architectural shingles. We can customize any portable building we sell to meet your specific needs. Note: Models, styles, availability and prices listed throughout this webiste are subject to change without notice. As new models / styles are released, some previous items or features may be limited in supply or are no longer available.